"I'm alive and victorious," he said. Maduro was evacuated from a stage on Saturday during a speech in Caracas after what authorities concluded was an attempted "terrorist attack against the president." He spoke to the nation just several hours after the 5:40 p.m. incident. "There was a big explosion," said, adding that he initially thought it was fireworks as part of the parade. Seconds later there was a second blast, he said. Venezuela's attorney general, Tarek William Saab, told CNN he ordered an investigation into the incident. He said on TV in Venezuela that three attorneys have been assigned to investigate. Maduro said it was "an attempt to kill me, they have tried to assassinate me today." A senior US State Department official travelling with US Secretary of State Mike Pompeo in Indonesia when asked about the reported attack on Maduro said, "We've heard the reports. We're following this closely." 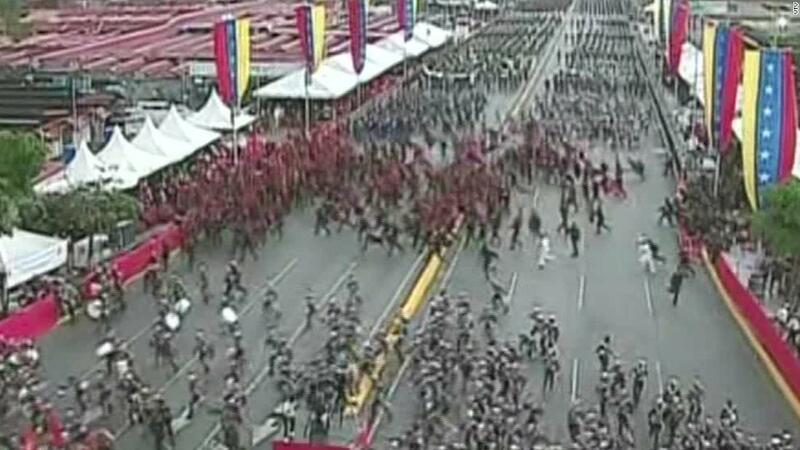 In a tweet, the president of Venezuela's National Assembly, Diosdado Cabello, called the incident at the military parade a "terrorist attack against the president and the high military command blaming the opposition for the violence." Venezuela's international government broadcaster, TeleSUR, said on Twitter that the Venezuelan government confirmed an attempted attack on Maduro. "We established, with evidence, that this was an attempt against the president."